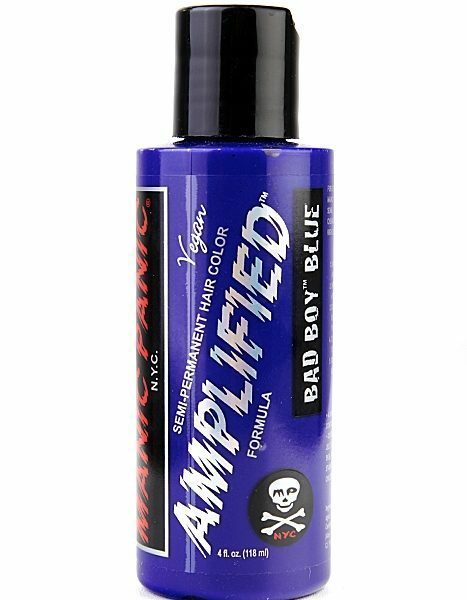 Manic Panic’s Amplified Bad Boy Blue is a semi-permanent hair color that gives you an vibrant blue look. 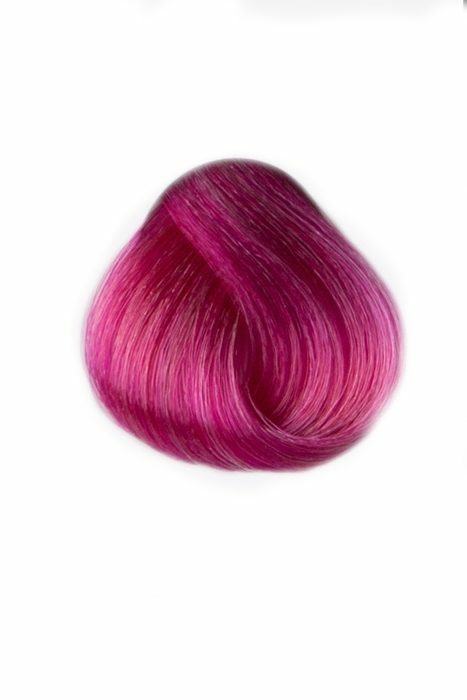 Extreme Hair Colors for you who really want to stand out! 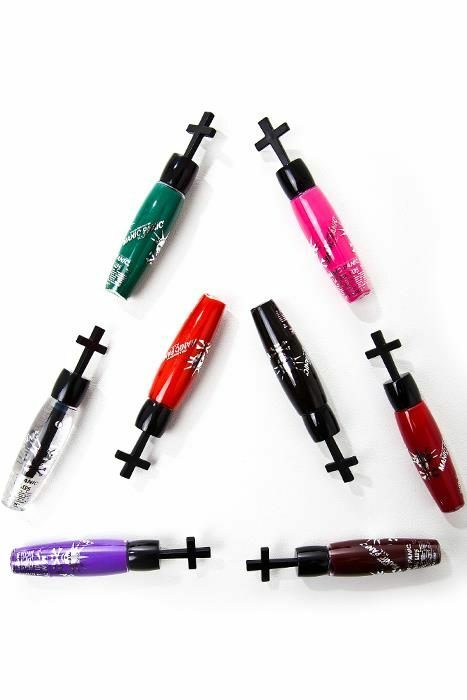 Manic Panic’s hair colors lasts for a different amount of time depending on your particular hair quality. But the estimated time is usually 8-10 washes. For best result, apply the hair color on hair that is as bleached as possible. Bleaching your hair is important, even if you are a natural blonde. Bleaching of the hair helps the hair color attach better and you get a better-looking result. Manic Panic has two bleach kits with strengths of 30 Vol and 40 Vol. 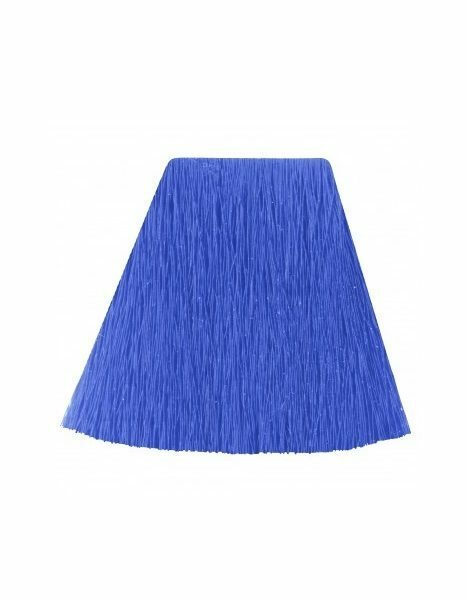 This color is a blue hair color, that makes your hair look fabulous! How many bottles of hair color you need depends on how long hair you’ve got, and how thick it is. 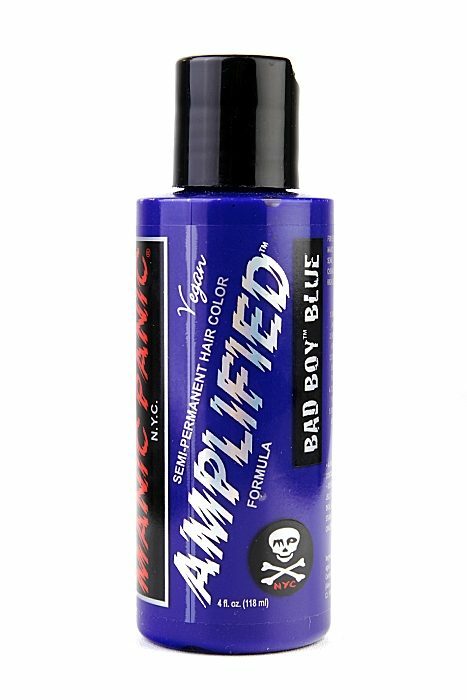 Manic Panic’s hair colors are very gentle towards your skin and hair, for example they don’t contain any ammonia (that many hair colors do). If you bleach your hair before you dye it, the hair color makes the hair feel even healthier afterwards, instead of the opposite. Buying Amplified instead of the Classic makes the hair color last about 30% longer. Are you unsure how to get the best results with your coloring? Read our Hair Coloring Guide, especially if you are using these colors for the first time. In our Hair Coloring Guide we go through the process step by step and answer several common questions. Manic Panic’s colors rub off on practically everything – skin, towels, tableware, plastic. So be sure to protect everything that you do not want color on. Shock is not responsible for any failed bleaching, discoloration or damaged clothing or other objects. We are not responsible for the outcome of your hair, because everyone’s hair is different. 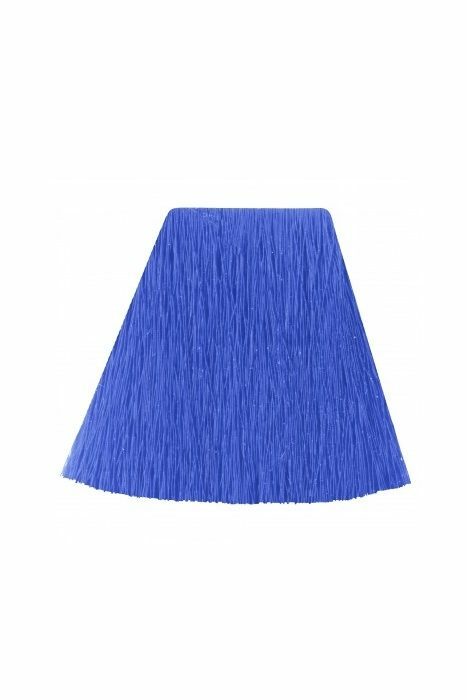 Do not forget to make a highlight test before you dye the entire hair. Do you want to be absolutely sure of getting the right results? Bring your hair color to your hair stylist.